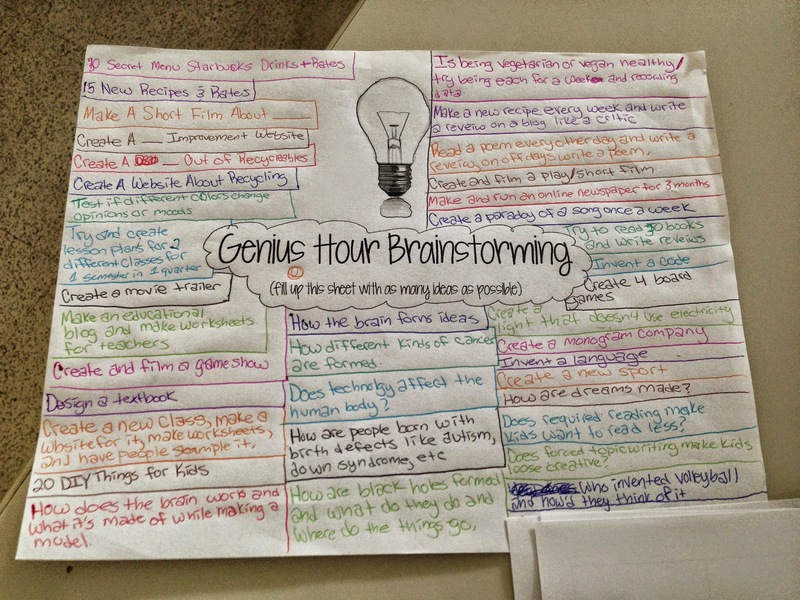 Here's what we've been doing over the past two weeks in Genius Hour! 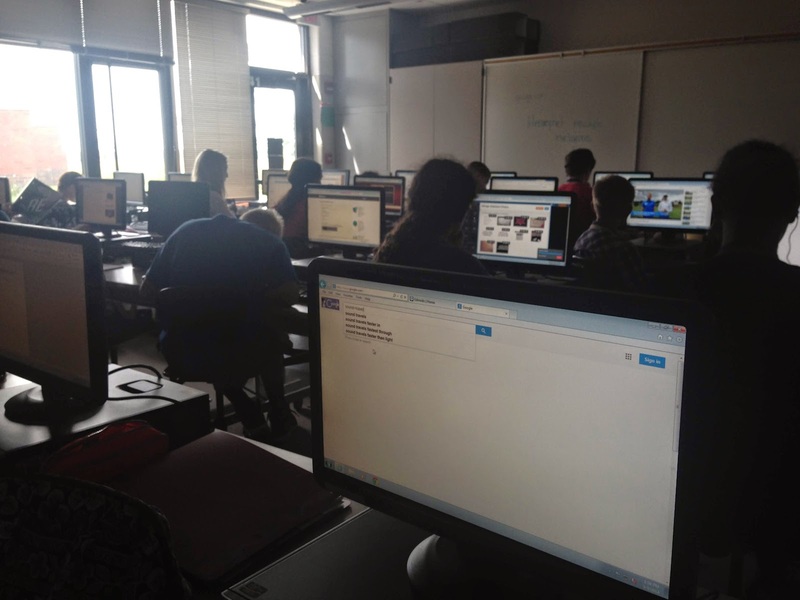 On Tuesday and Wednesday they did brainstorming and played with the formatting on their Weebly website. On Thursday they started formulating their Essential Questions and Proposal (I gave them a full week to work on these so that they took their time with it), and on Friday they did a Blog Post on their brainstorming and I met with students for Sacred Conference Time. I created a Google Doc that students could edit with times for Friday conferences. Originally, I had 10 minute slots, but it ended up being around 5 for each student, so I changed it to that. If students needed more time, they could sign up for two slots. Tuesday and Wednesday they wrote their proposals, using the outline I have up on Teachers Pay Teachers. 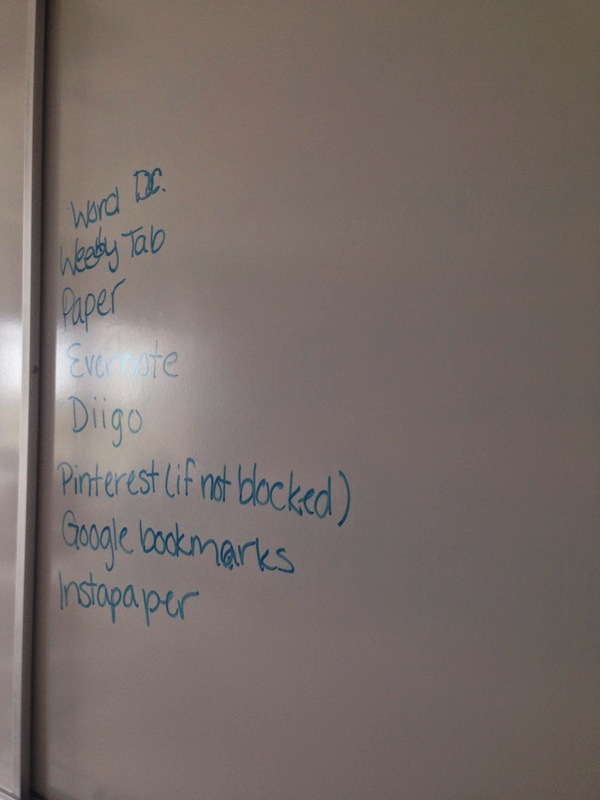 On Thursday, students gave their pitches to the class. I have 28 students, so I split them in two groups and assigned them their order on Wednesday. They had two minutes to give their pitches to each other. While the pitches were going on, students were to write down questions to ask at the end of the pitches. They decided at the end to go back through the order asking questions, allowing one minute per person for questions, and then went back at the end with extra time. They only had two rules: two minutes or less, and no reading off their paper. The pitches were actually incredible. They shared, and students were actively listening and writing down questions. I had the last people in each group be the timekeepers, and they kept each other on track. I walked around between groups listening in on their pitches. On Friday they completed Blog Post #3, where they basically described their project, how their pitch went, and if they were making any changes to their proposal. 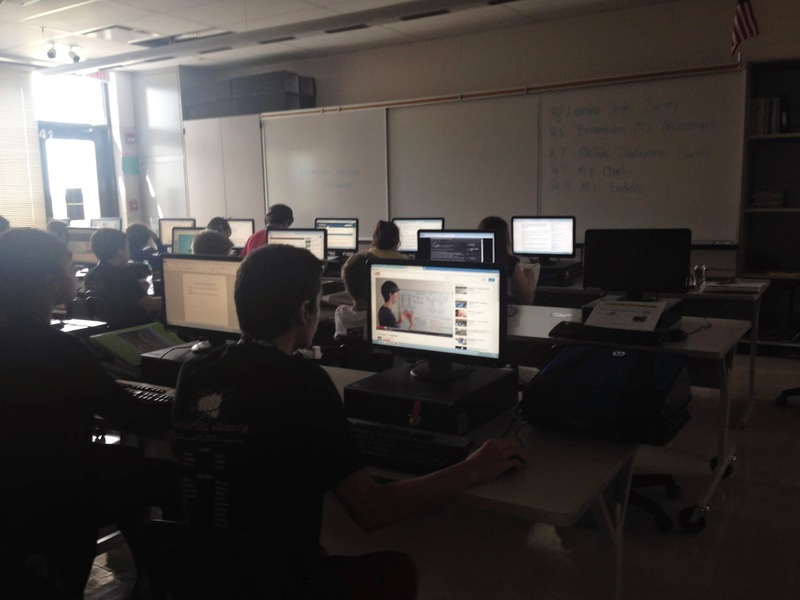 This student is doing a search using his new found Google Knowledge. sound + travel, love it! This student is watching a youtube video on the creation of engines. They absolutely amaze me. For the rest of this week, students are on their own researching, and on Friday they will have another blog post and Sacred Conference Time (SCT) with me if they sign up. It looks like we are off to the races with Genius Hour!